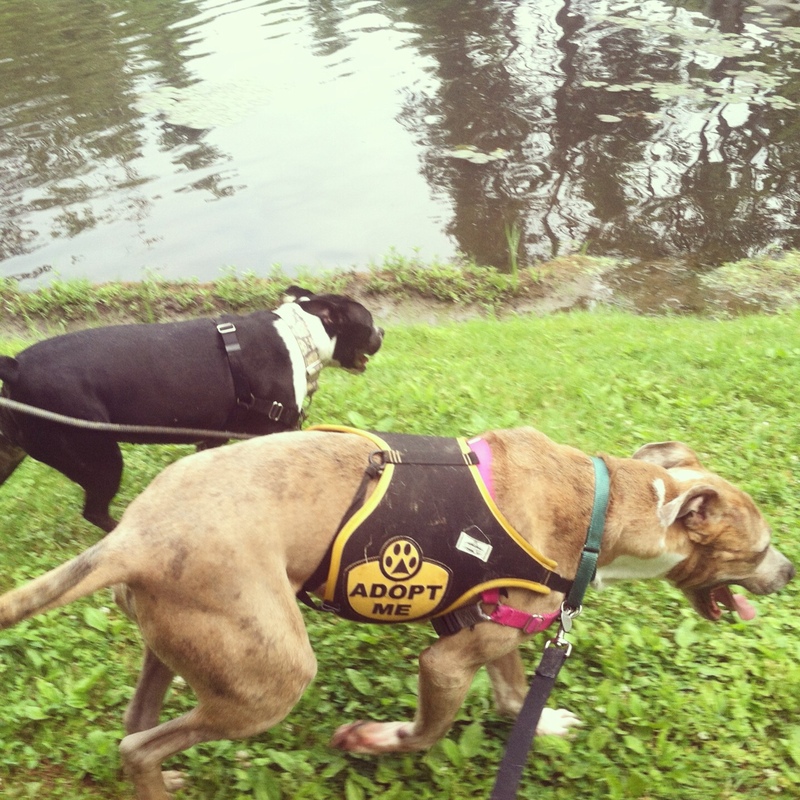 We headed out to the AWLA Pit Crew training walk Sunday morning and had a blast! 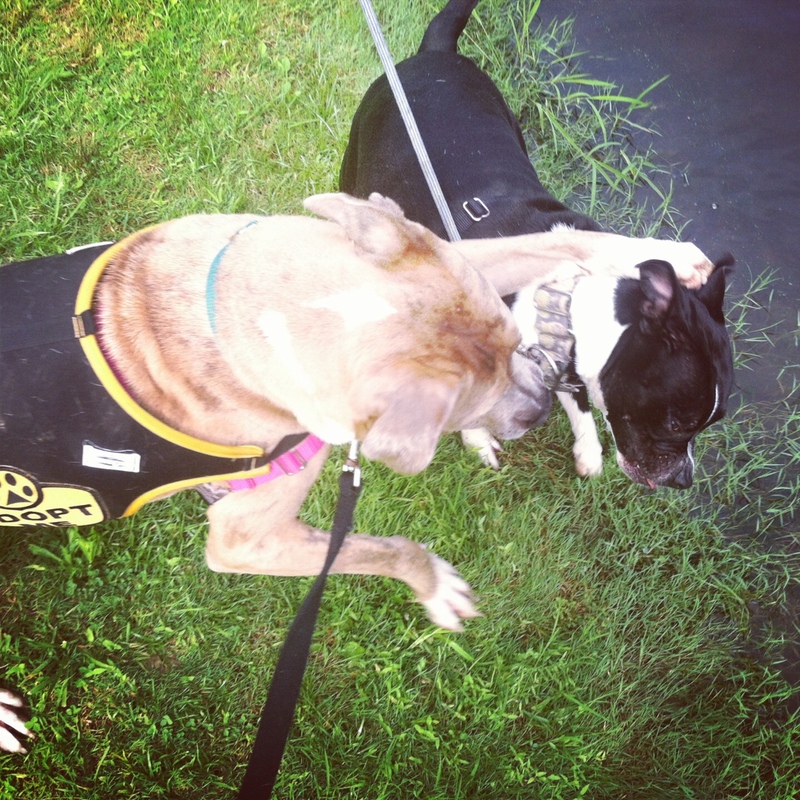 Frankie, like most of the dogs in the group, is working on his excitability around other dogs. He is not reactive, but if you get too close to another dog he will enthusiastically try to go say hi. . . yeah, not the politest. Honestly though I was expecting a little bit more of a show from him. He was a dream! You can tell that the shelter staff and volunteers have done a lot of work with him because he is attentive and will refocus his attention easily. Frankie is a big dog, so it’s pretty imperative that he has at least decent leash manners. While a group walk isn’t the place to exactly teach new skills, I used it as an opportunity to reinforce Frankie for walking nicely. Any time he would orient himself towards me and therefore have a very loose leash, I marked the behavior and rewarded him. I wanted to make myself more fun than the distractions around him that cause him to pull. Between the helpful gear (front clip harness) and the rewards, he did great! You know you had a successful walk when your arms are NOT tired after walking a 75 pound dog for an hour. 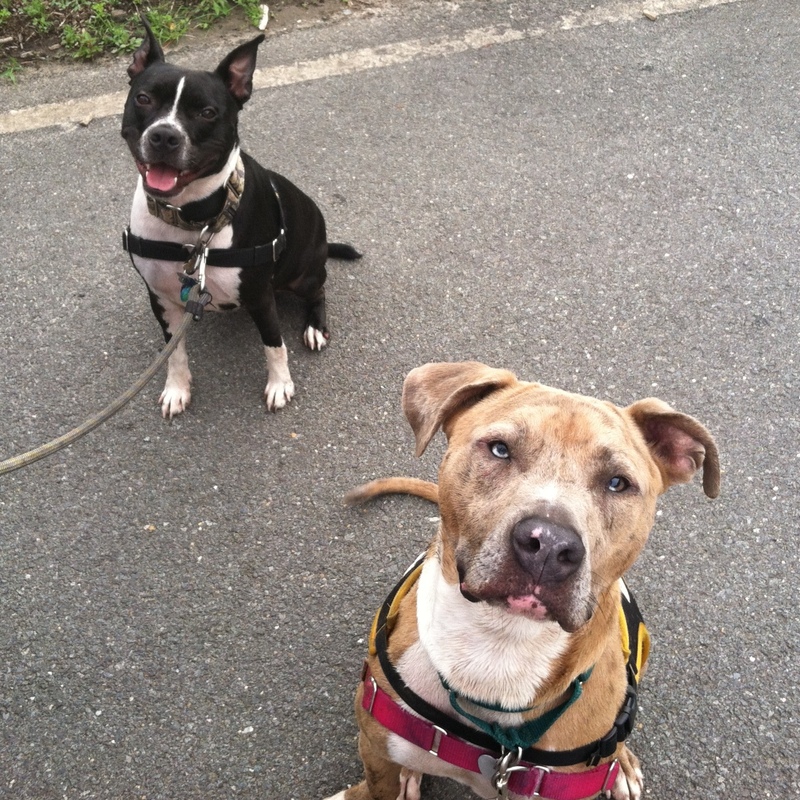 Frankie and I enjoyed walking with the group and catching up with our good friends Kim (human) & Nicky (dog). Frankie and Nicky took an extra lap together after the group dispersed. Nicky liked Frankie initially until he used his all time worst pick up line on her (straight paw to the head) and she decided she’d rather play hard to get. Since he’s a gentleman he let her have her space and the two of them enjoyed getting to know each other from a distance. What a fun morning to wrap up our time together! 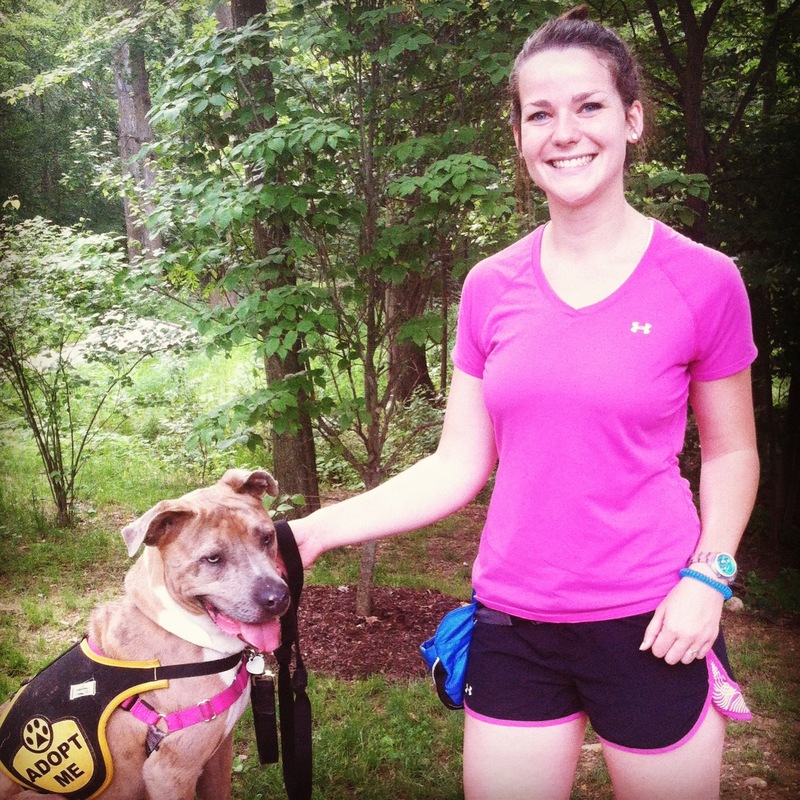 If you’re in the DC area and you’re interested in adopting Frankie, email me at peacelovefoster@gmail.com. 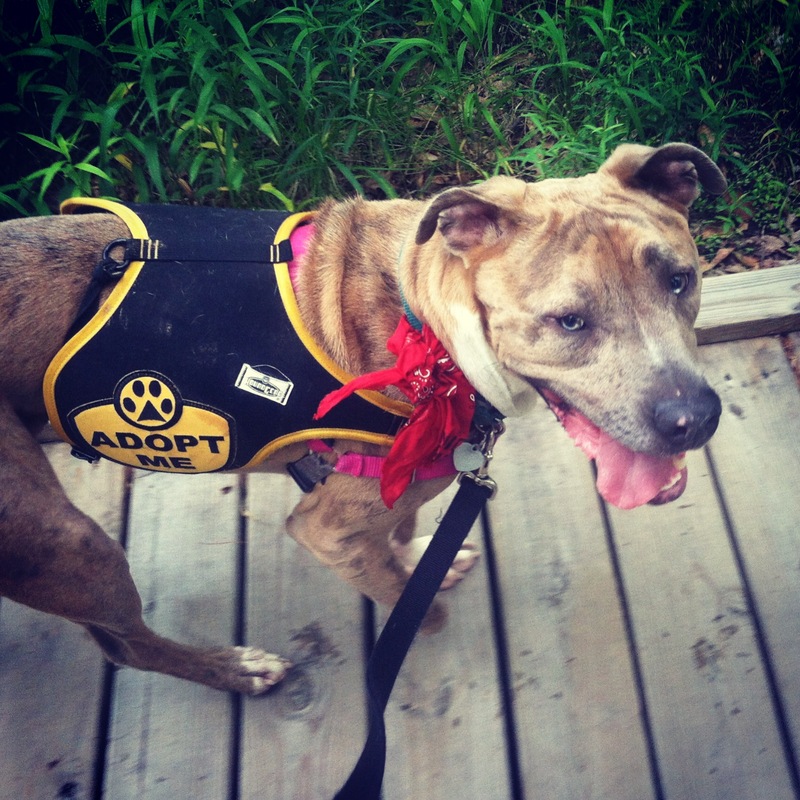 This entry was posted in Dog talk, Rescue/Humane Society, Uncategorized and tagged AWLA Pit Crew, catahoula pit bull mix, dog behavior, dog training, group walk, pack walk, positive reinforcement, socialization dog walk, training walk. Bookmark the permalink. Is Frankie wearing an Easy Walk Harness? How does it compare to the Sensation harness? 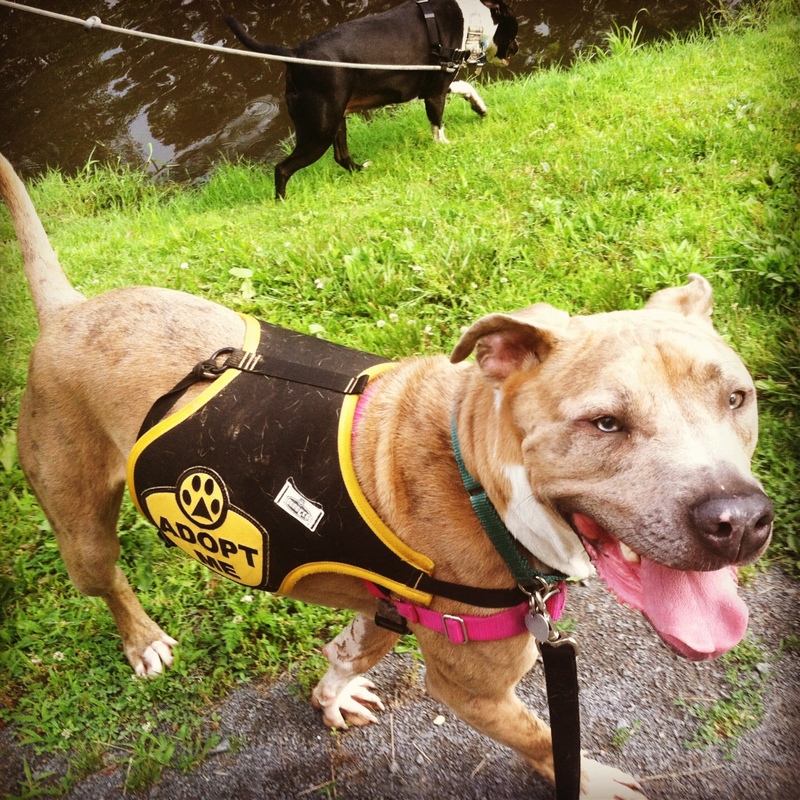 Frankie did great on the walk – you guys make a great team! I know there has been a lot of sharing of Frankie and his story. Any hope of getting him out of the shelter soon?